Tired of satellites spying on you? Space junk blocking your view? A possible solution may be closer than you think. Grossmont College Physics and Astronomy professor Philip Blanco recently published a research paper that discusses how to knock troublesome satellites out of orbit. The article, `Satellite splat: an inelastic collision with a surface-launched projectile,’ is aimed more at motivating students rather than putting space agencies on alert. The paper will appear in the European Journal of Physics – an international scientific journal dedicated to boosting the quality of physics taught in higher education. “Our hope is that the present paper will inspire further investigations and help introduce students to the fascinating field of astrodynamics,” the paper concludes. A continuing focus on student success is paying off for Grossmont and Cuyamaca colleges, where more than 2,100 graduates will receive a record number of degrees and certificates next week. With some students earning multiple degrees and certificates, about 1,500 will receive 3,315 degrees and certificates Wednesday, June 3, at Grossmont College. More than 600 will receive 904 degrees and certificates the following day at Cuyamaca College. Both commencements begin at 5:30 p.m. Grossmont College, at 8800 Grossmont College Drive in El Cajon, will hold its ceremony in the Main Quad. Cuyamaca College, at 900 Rancho San Diego Parkway in Rancho San Diego, will hold commencement in front of the B building, the Communication Arts Center. It rained buckets at this month’s Brad Daluiso Golf Classic – not raindrops, but golf balls – raising $23,000 for the annual benefit tournament for the Grossmont College athletics program. 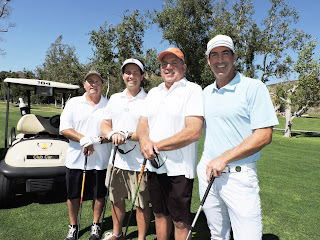 Hosted for the past 12 years by Daluiso, a Grossmont College alum and former NFL kicker, the May 1 golf tournament featured its first-ever helicopter golf ball drop. More than 1,200 balls purchased by donors were dropped from a chopper hovering about 50 feet above Willow Glen Golf Course at Sycuan Golf and Tennis Resort. The lucky winner of the $1,000 prize whose numbered ball landed in hole No. 1 was Dale Wilson, president of D.W. Tower, a wireless communications construction firm in North County. 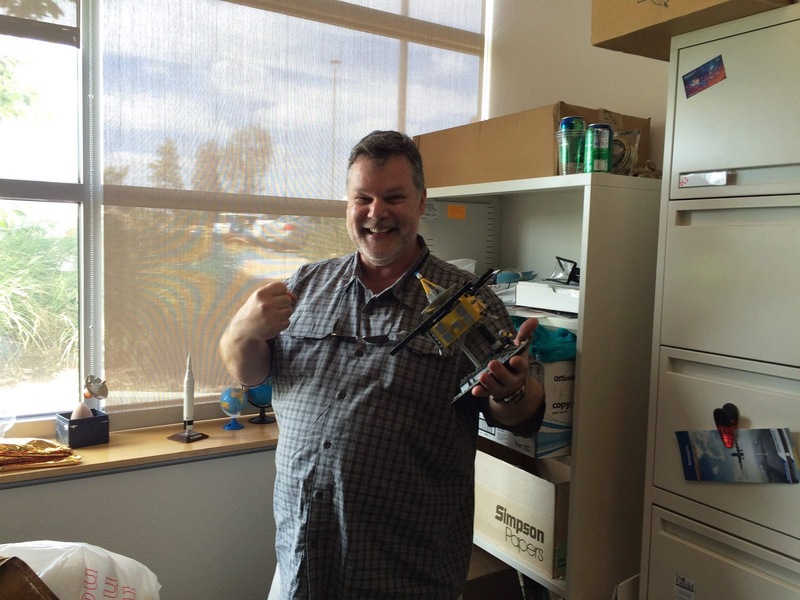 Winning the prize for furthest away from the hole – a baby Taylor acoustic guitar --was Steve Schneider, a principal with Lyons Warren Engineers + Architects in San Diego. He was part of team representing the Liverpool Soccer Club, a youth soccer organization based in La Mesa. The recent East County Career Expo at Cuyamaca College has resulted in at least 113 anticipated hires and lined up more than 80 interviews for jobseekers, according to a survey of employers who attended the May 20 event. Miller joined forces with Cindy Morrin, director of the college’s career center and Susan Roberts-Egley from the East County Career Center to organize the Expo. 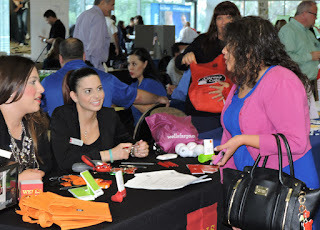 The event drew 52 employers and more than 160 jobseekers from both Cuyamaca and Grossmont colleges, as well as the public. Grossmont College recently announced its membership in the Minority Male Community College Collaborative (M2C3) National Consortium on College Men of Color. Participation in the M2C3 Consortium will enhance the college’s commitment to improving the success of historically underrepresented and underserved students, including men of color. 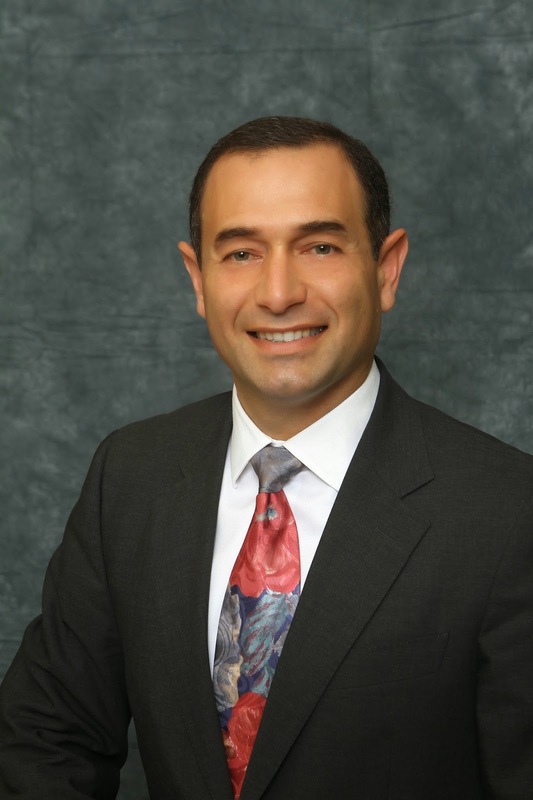 Dr. Nabil S. Abu-Ghazaleh, president of West Los Angeles College, has been named president of Grossmont College effective July 1. Cindy L. Miles, chancellor of the Grossmont-Cuyamaca Community College District, said Abu-Ghazaleh’s more than a quarter-century in California community college leadership, including the four years he has held the top post at the Culver City campus, made him the solid choice to take the helm of the 18,000-student El Cajon college. Members of the Grossmont-Cuyamaca Community College District and Grossmont Union High School District governing boards had their first joint meeting to hear about the work of the East County Education Alliance. From left are: GCCCD Board members Bill Garrett, Debbie Justeson, Mary Kay Rosinski, Edwin Hiel, Zac Gianino (student trustee), and Greg Barr; GCCCD Chancellor Cindy L. Miles; GUHSD Superintendent Ralf Swenson and GUHSD Board members Robert Shield, Gary Woods, Jim Kelly, Jim Stieringer, and Priscilla Schreiber. You’ve secured a good education, maybe taken a few classes to sharpen your job skills, and now you’re looking for work. Yet too many seeking employment often overlook a vital component: the interview. That’s why we’ve lined up several tips to help settle your nerves and get you to your next job. A pitching bullpen is a new feature of this year’s East County Career Expo at Cuyamaca College, but it will be jobseekers, not the boys of summer, doing the warmup. With as many as 50 employers expected at the college’s free job fair from 9 a.m. to noon Wednesday, May 20, Cuyamaca College and co-sponsor East County Career Center want students and the public to be as polished as possible before they begin their networking. Jobseekers can practice their pitches and get tips from experts in the “bullpen” in preparation for making that first impression with employers attending the fair. 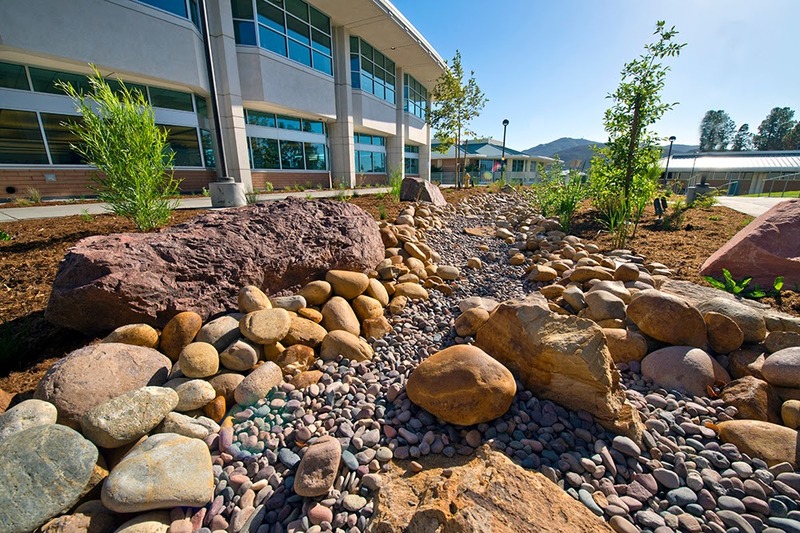 As California continues to grapple with an unrelenting drought, the Grossmont-Cuyamaca Community College District and its two East County colleges are taking creative approaches to water and energy conservation. John Thomas does some pruning in the nursery operated by Cuyamaca College's ornamental horticulture program. Newly installed drought-tolerant landscaping is part of Grossmont College's outdoor education zone. The Grossmont College Theatre Arts Department is breaking new ground with a production of August Wilson’s Pulitzer Prize-winning play, The Piano Lesson, May 7-16 at the Stagehouse Theatre. This marks the first time the Theatre Arts Department will stage a play by August Wilson, a giant among American playwrights, or will stage a play with an all-black cast. The Piano Lesson revolves around the dilemma presented when sharecropper Boy Willie seeks to purchase the land upon which his family once toiled as slaves, a plan opposed by his sister, Bernice, because it means selling a family heirloom – a piano carved with images of their African ancestors and crafted by their enslaved grandfather. The play is set in Pittsburgh in 1936. The new East County Education Alliance, a partnership between the East County high school and college districts, will be the topic of discussion at the first joint meeting of the two districts’ Governing Boards to be held May 19. A new website has been launched that is packed with resources for students who are exploring their higher education options in San Diego and Imperial counties. The site, mylocalCC.org, includes information about every community college in the two-county area. The website was created by the San Diego & Imperial Counties Community College Association (SDICCCA), a consortium of the nine community colleges in the region. “Especially at this time of year, when thousands of high school seniors are contemplating where to pursue their higher education, it is vital for us to provide the communities we serve with resources that will contribute to an informed decision,” said Cindy L. Miles, SDICCCA president and chancellor of the Grossmont-Cuyamaca Community College District. The Grossmont-Cuyamaca Community College District office responsible for informing people of what’s going on at its East County colleges is continuing its winning streak of state and national awards.